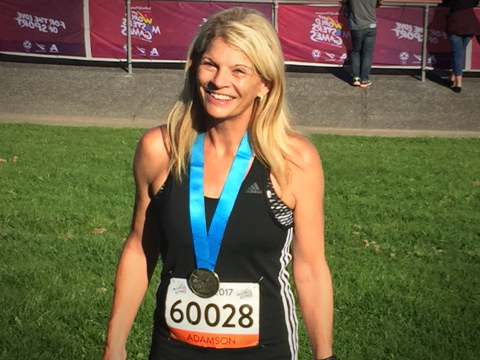 Last weekend Christine Adamson not only won her age group in the Waiheke Island 10k, but also was the first female overall and broke the course record. Pretty impressive for a 60-year-old! She’s also just finished a campaign at the World Masters Games where she claimed four gold medals from four events. She holds Auckland age group records in the 800m, 1500m, 3000m, 5000m and 10,000m. And all this from only two years of serious running training. What was your sporting background growing up, if any? I competed well in athletics at school but my parents supported me into playing tennis. Tennis has been my main sport and I reached provincial level as a junior. I can still play a great game of singles but not really at championship level. I have always been sporty and dabbled in a lot of sports such as windsurfing, skiing, and squash. I have always done a certain amount of “jogging” for fitness, and I completed two marathons in 2010 and 2011. 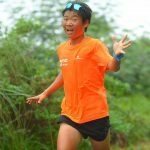 However, I really got interested in running when I started to enter 10km road running events and discovered that I could always win my age group in the 10-12 km events. 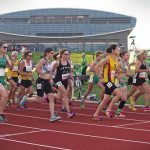 It had taken me a very long time to discover that I was suited to middle distance running (1500m, 5000m and 10,000m distances) where you get to combine speed and endurance. I became curious to find out how far I could advance within my age group. And so with some training advice from Hayden Shearman (TempoFit coach), in 2016 I joined a masters running club, competed in Auckland Masters Athletics (track), NZ Masters Athletics, and recently the World Masters Games. What did your training look like when you first started? When I started training two years ago I would run from Parnell to St Heliers (8k) and be too tired to get back again. So I would walk across the beaches on the way home. While this was quite enjoyable, it used to take hours to get back home. What was a typical week of training building up to the 2017 World Masters Games? Building up to the World Masters Games I usually ran six days a week. My training was a mix of running distances and types. Usually one long run (18 km) for endurance, one 5km competitive race event, a hill climbing run for strength, a HIIT run, and I also train with a group of sprinters to build speed. Running makes me feel empowered, and fully alive. My favourite runs are running by myself up in the hills with my music and it really doesn’t matter if it is windy or raining! What would you say to people who think they’re too old or too slow to take up running? I encourage people to join in with masters sports because you always compete within your age group. I have found masters running to be a lot more relaxed and friendly than the pressures associated with junior and senior sport. Most masters set their own goals and work on improving their times rather than focusing on competitors. What precautions have you taken to make sure you stay healthy and uninjured? I generally eat healthy food and as a vegetarian I am always conscious of getting protein and iron from a variety of food sources. I try to keep up with stretching, but I really don’t focus on potential problems, I generally assume that I will remain healthy. When I run I am always tuned in to what my body is capable of at any time and I am protective in that way. What goals have you got over the coming years in running? I have a goal to set the NZ record in my age group for 1500m. I have been two seconds off it, so I hope to achieve that this year. Next year, 2018, I am planning to go to Malaga, Spain, for the World Master Athletics Championships which I have researched to be the most competitive masters athletics championships. To be successful there I will have to be running 10 km in 40 minutes, so that is a goal to work towards. 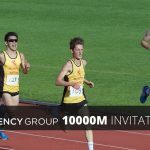 This entry was posted in Training Tips, Uncategorised and tagged 1500m, Auckland running coach, Hayden Shearman, masters athletics, World Masters Games. Bookmark the permalink.